Municipal housing policy/programs typically address psychological trauma in a narrow way: by providing housing protections and programs for victims/survivors of violent crime who live in subsidized housing. While absolutely necessary, this approach ignores the traumatic impact of experiencing housing insecurity of any duration. The social costs of trauma caused by housing insecurity are well-documented by Matthew Desmond in his recent book Evicted, and include health care costs to treat stress-related diseases, increased incidence of depression, suicide, and interpersonal violence; low school achievement and employment opportunity; remedial schooling; criminal justice enforcement; and the loss of cultural and social ties essential to health and resilience. The unique nature and impact of trauma caused by housing insecurity is coming into focus at the same time that the supply of affordable urban housing is shrinking. In Boston - where building permits for affordable, multi-family housing have dropped dramatically in recent years - we see an “alarming growth of housing insecurity and homelessness among families with children. . . . Waiting lists for family housing vouchers are growing, families are spending longer periods of time in shelters, and those who have vouchers remain in the same or similar demographic communities, reducing access to employment networks and educational opportunities that are more likely to lead to economic mobility. . . . The number of families marginalized by the housing market will only climb unless we find more appropriate and effective policies and fund these interventions at all levels of government . . . .” The Greater Boston Housing Report Card 2016 (Boston Foundation, Nov. 2016). Stable Ground is working to better understand the housing insecurity-based trauma existing in neighborhoods served by the City of Boston’s new Office of Housing Stability (OHS) by engaging with local creative and cultural programming in Dorchester, informing OHS ongoing work as a result. Starting in December 2017, we will embed artists, legal designers, and trauma experts into local community and municipal settings to generate outcomes that contribute to local visual/performing arts exhibits and art-making events. These events, to be held in May & June, 2018, will include facilitated conversations among artists, residents, activists, organizers, experts, and municipal leaders, all structured to inform existing OHS services and those in development. 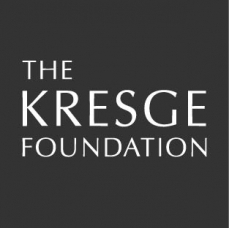 Supported by a generous grant from The Kresge Foundation. A partnership of four initiatives has come together to develop and implement Stable Ground. 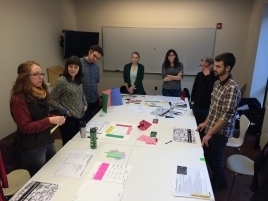 The NuLawLab engages arts-based disciplines to create new models of legal empowerment. The Office of Housing Stability creates new programs and policies to support the creation, maintenance, and preservation of secure and affordable housing. Violence Transformed fosters creative action to overcome violence and extends trauma-informed training to community-based groups. The Domestic Violence Institute provides focused community education with the goal of helping people break the cycle of violence. 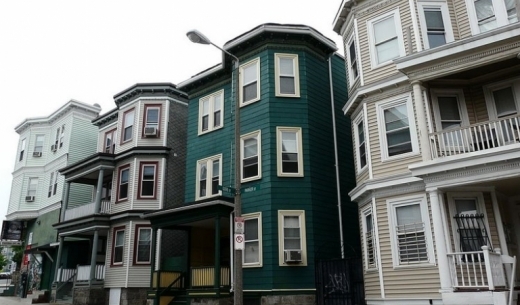 Our approach will allow the City of Boston to better understand and quickly address rising housing insecurity through participatory, trauma-informed creative engagement with local communities. We believe that much can be gained through the creative process and it's outcomes. 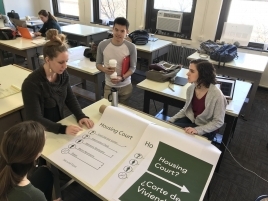 Trauma-informed art offers a uniquely powerful means for this partnership to engage in a thoughtfully-facilitated dialogue with community members about the personal impact that housing insecurity has on residents, with more informed responses by all participants as a result. Our outcomes and learning will be captured in a project report, and evaluation suitable for publication.